I do love to bake, really, I do. But sometimes my family complains about putting on pounds. And last weekend I decided to make something sweet but in the meantime not so heavy. So, this is gluten-free dessert for you, without any flour. All you need is 4 egg whites and 1 cup of sugar. Some recipes call for 1,5 cups sugar for that amount of egg whites, but I used only a cup and it turned out just fine. And who needs extra sugar anyway? Preheat the oven to 200 F (or 95 C). Line baking sheet with parchment paper. 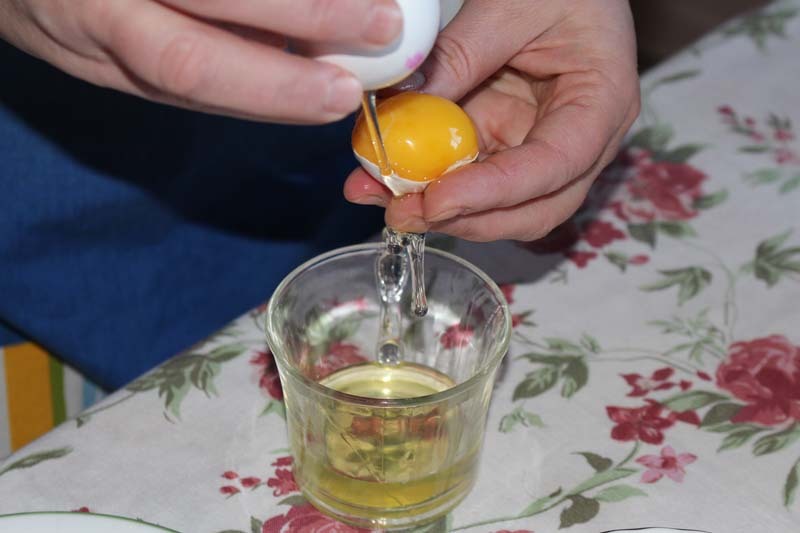 First you have to carefully divide eggs, because even a smallest amount of yolk can ruin your merengue. It is better to divide egg whites when eggs are cold. 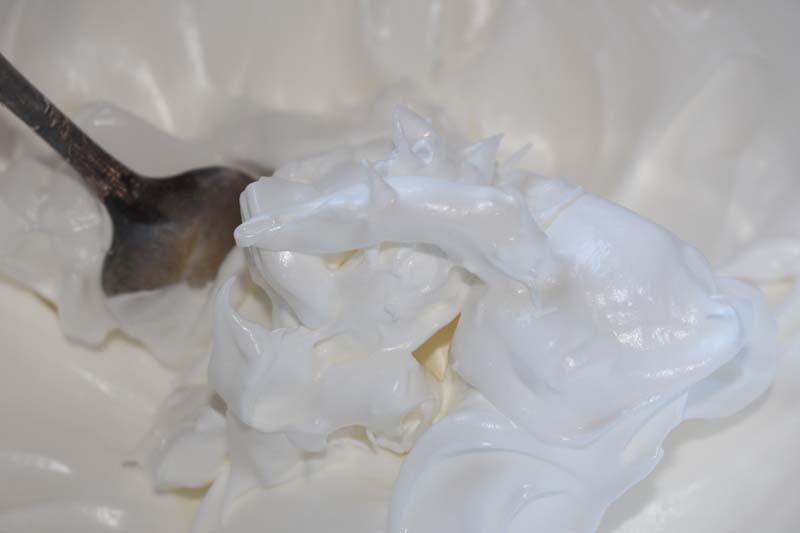 Bring egg whites to room temperature before starting. To clean the bowl of any fat or oil you can wipe it with some vinegar or lemon juice. 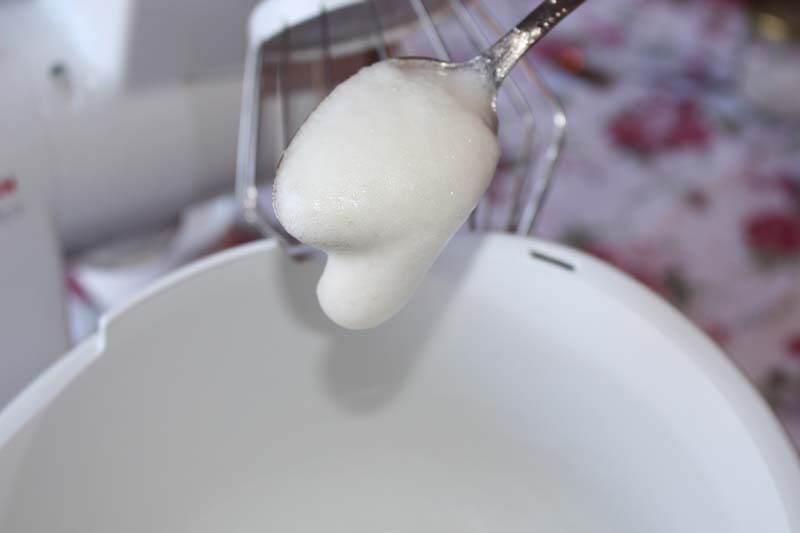 Place your egg whites in the bowl and start mixing them on the medium speed for 3-5 minutes. After that put on a maximum speed and beat until eggs become foamy but not dry. 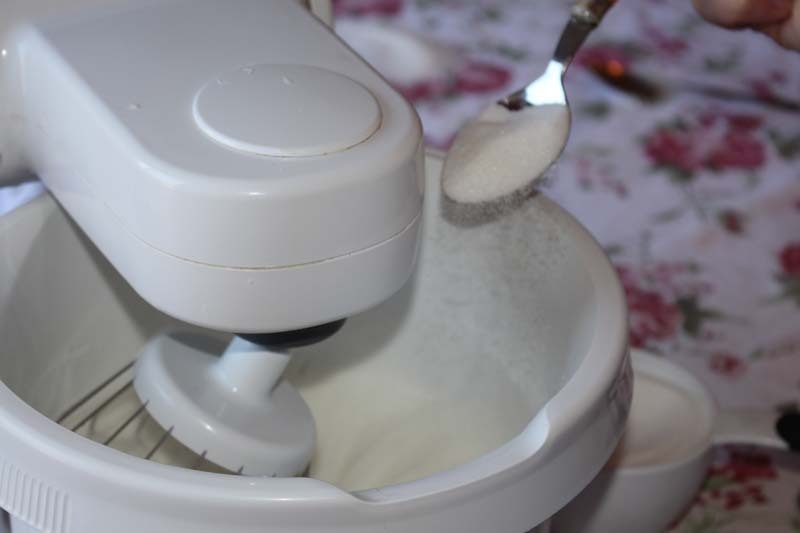 Start adding sugar with a spoon, keep the mixer on. When the mixture looks stiff and shiny, stop mixing. 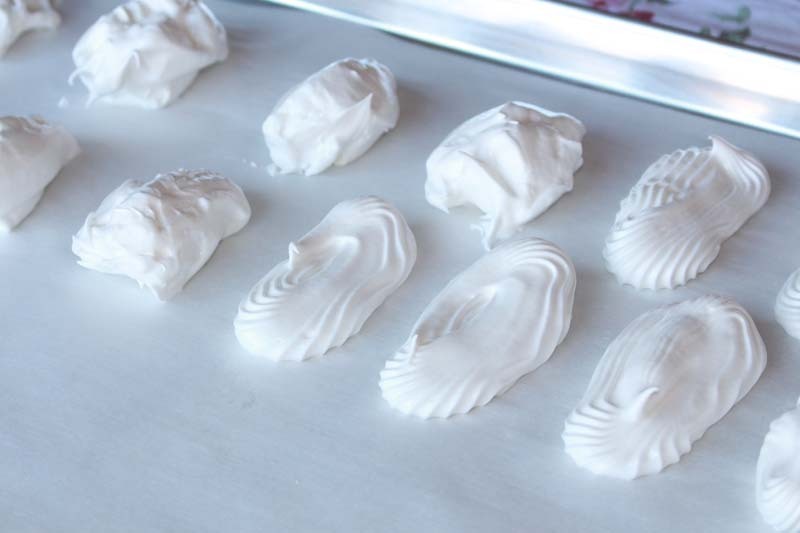 Transfer the meringue to the baking sheet with a spoon or a piping bag. This is totally your choice. 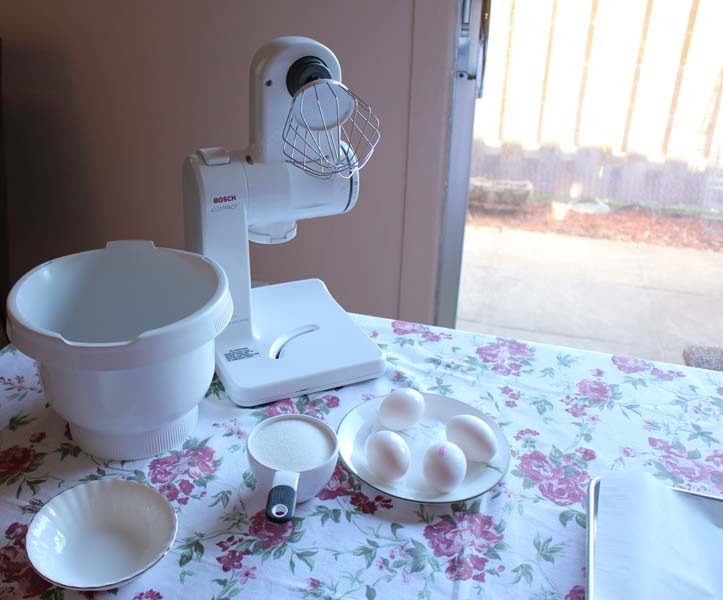 Baking time actually varies from 1,5 to 2 hours, until meringues are dry. 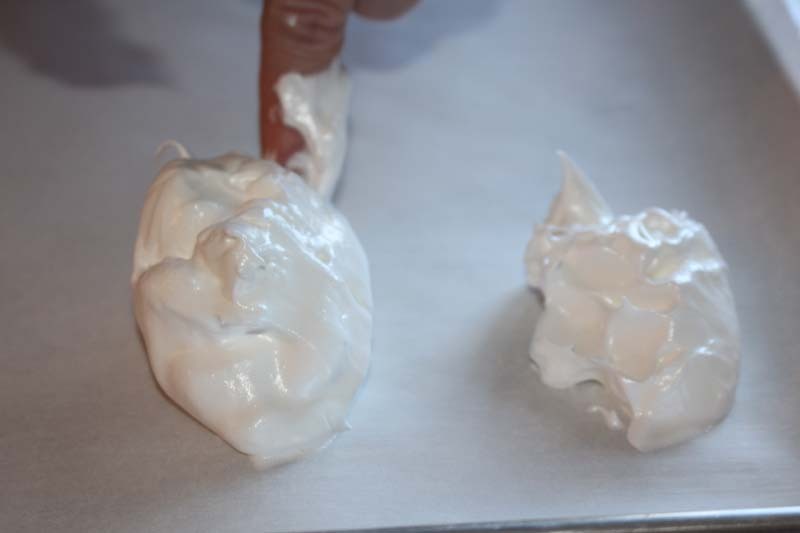 After turning off the oven, leave the meringue inside and keep the oven door open. When they are completely cool, remove from the oven and the baking sheet. 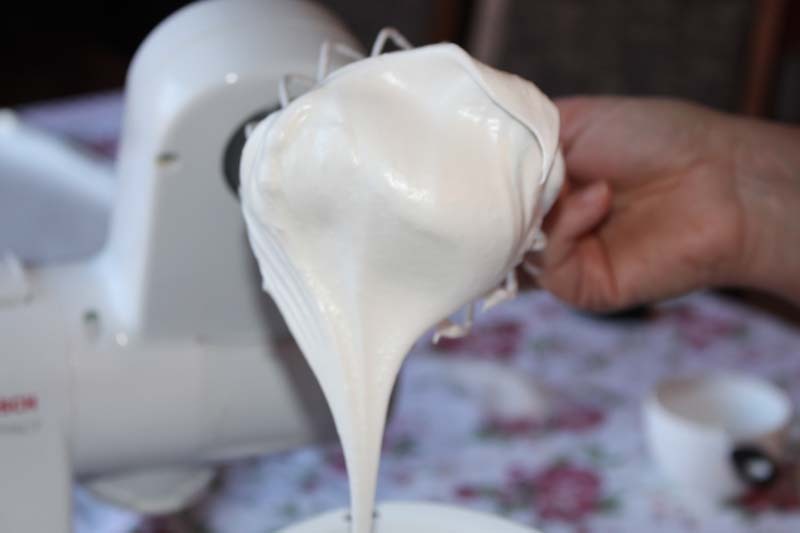 You can serve merengue like that or you can put your favorite icing between two merengue and it will become fancy pastry. 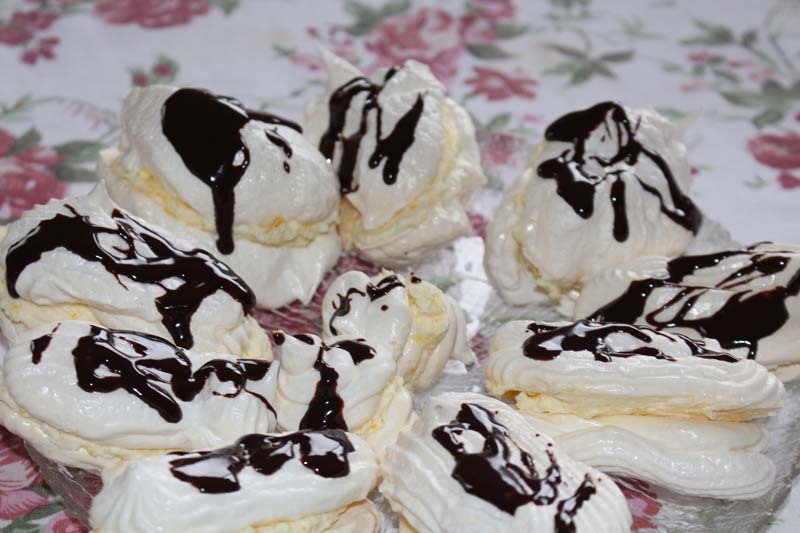 I decided to put orange zest in the icing and covered the meringue with my favorite drizzle – chocolate ganache. 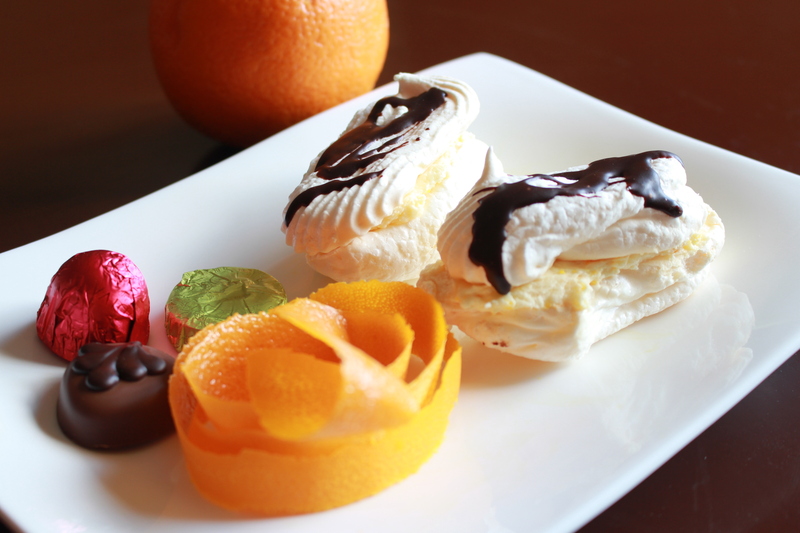 Three components – meringues itself, flavor of orange and chocolate made the magic! Light, fancy and sophisticated dessert. What is your favorite gluten-free dessert? P.S. For those, who had the patience to read my really long post, I want to also invite you to my Facebook page, where you can find much more variety of yummy pastries. Thanks for visiting my blog, there are two members of my family on a gluten free diet so I was delighted to find this recipe.